Today I want to lay out what I believe to be the top 3 challenges in growing dMoneyCode.com. In order to reach goals, we need to be realistic about the current challenges facing the business. No matter what your strengths, if weaknesses are ignored, your ability to achieve success is stifled. Living my entire life in a developed country, it's super easy to take bank account access, debit and credit cards, home mortgages, and online transfers for granted. This system is working quite well as far as most individuals are concerned. Why do they need to learn a new technology and trust a new system that combines everything they don't know about money with everything they don't know about technology to create the world's most volatile market? Why should they close their Bank of America account and get a Coinbase account and mobile wallet? Sounds like a lot of work for huge risk and no upside. This is a major uphill battle for people who just assume a bank account is no big deal. It's your choice to opt into a system that controls it's resources in the not so best ways. The accounts you hold at banks directly supports the governing authority behind it. Most people in developed countries ignore this fact. Also, unfortunately people move based on pain a lot faster than based on pleasure or reward. This is a true but sad fact of the human race. Knowing this however, can put you far ahead of the learning curve if you can find reasons to support your why and become reward based motivated. Does this mean that we're going to have to wait until the next economic collapse, when the pain is high, before the general public will start to take a closer look at crypto currencies? What types of rewards would motivate people to get involved in cryptocurrencies? What is the best pain point to focus on when talking to someone who takes a bank account for granted? The first challenge covered a wide range of ways to go about informing the general public about the opportunity in cryptocurrencies. You're actually dealing with the public and not the technology. Then there's the tech side. How do you secure investments in the most prudent way? Even then are you fully protected? How do you acquire the assets without getting wrecked with fees and premiums. How do you properly protect private keys and keep hackers at bay? Securing and exchanging cryptocurrencies is going to be an expanding field for years to come. There are few decent options on the market these days, but that is rapidly changing. It will take a genuine effort to keep up with the changing technology and stay at the leaning edge of the market. What best practices do you have for securing and exchanging crypto currencies? This one is a no brainer. Communication will always be the determining factor for successful projects. The quality of your language dictates the quality of your life, and the quality of your communication dictates the success of your business. The first round of communication is to potential clients or customers. They need to know we exist and we have to convince them to do business with us or engage with us before anything else matters. If we are unable to get simple engagements from our audience, then the rest of our product is worthless. The second round of communications is setting proper expectations. If we set unrealistic expectations then disappointment is always to follow. On the flip side, if we set expectations too low, then we may never even get them to take a look or consider a purchase. Proper expectations are the absolute difference between a happy repeat customer and a unhappy wordy yelp connoisseur. The last round of communications is providing a clear vision. Your visions for your clients need to be bigger than the clients vision for themselves. If this is the case you will achieve long-term success. If your visions isn't greater than theirs, you will have high turnover and struggle getting to the next level. These are the top 3 challenges for dMoneyCode.com in my opinion. Any feedback or suggestions will be greatly appreciated. 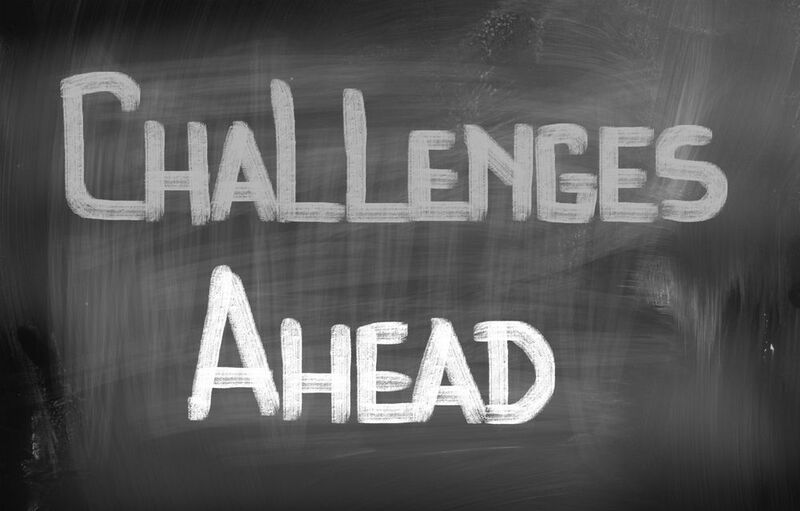 Also, what are your top 3 challenges in your business or life? What's keeping you from reaching the next level? Drop me a comment and let me know what you think!